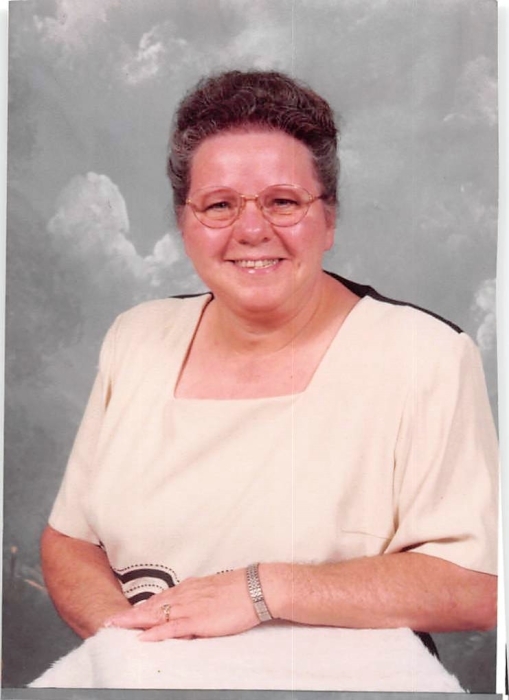 Patricia Jo Evans, 69, of Whitesburg passed away Wednesday, August 15, 2018 at the University of Kentucky Medical Center in Lexington, Kentucky. Patricia was the daughter of the late Will and Ella Cook Sizemore. She was the widow of Bobby Evans. Surviving is 1 daughter: Karen Day of Whitesburg; 2 brothers: Elihue Sizemore and Junior Sizemore both of Whitesburg; 3 sisters: Carolyn Profitt of Isom, Annie Fields of Florence, and Pricy Elswick of Colson; 1 grandchild: Lillian Paige "Lilli Poo" Day. Patricia was preceded in death by 1 son: Timothy Michael Evans; 4 brothers; 1 sister. Funeral: 11:00 O'clock A.M. Saturday, August 18, 2018 at the Calvary Temple Church with Conard Profitt and Jeff Miles officiating. Visitation: 6:00 P.M. Thursday at the Calvary Temple Church. Burial will follow in the Addington Cemetery at Ermine, Kentucky.